Home NEWS NINTENDOSWITCH PS4 Dragon Quest Builders 2 Reveals "Materials Island"
Today the latest issue of Weekly Shonen Jump magazine has revealed some new information about Square Enix’s upcoming sandbox action RPG Dragon Quest Builders 2. Materials Island, in this island you can find plenty of material for building. If you meet certain conditions, you'll be able to craft unlimited amount of material that you use often, such as string. Material Island is also where you'll find the work of players who won the official contests of the 'Builders 100 Landscapes' contest. "Mysterious Floor" a mechanism that will shift and respond to magnetic floors. "Trampoline" allows you to perform a big jump. "Launch Cylinder" can be Used to launch fireworks. "Display Signs" can be used to write down little messages. 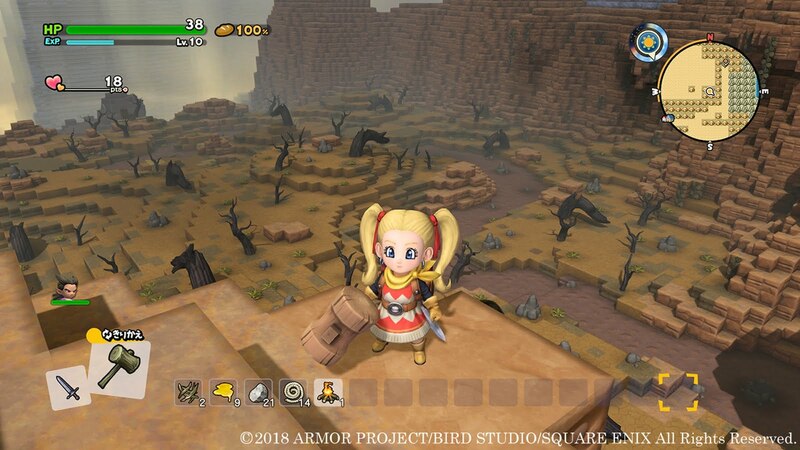 Dragon Quest Builders 2 releases in Japan first on December 20th for Nintendo Switch and PlayStation 4, and in North America and Europe in 2019.